Of the many great aspects of Stranger Things, Barb could well be the best. 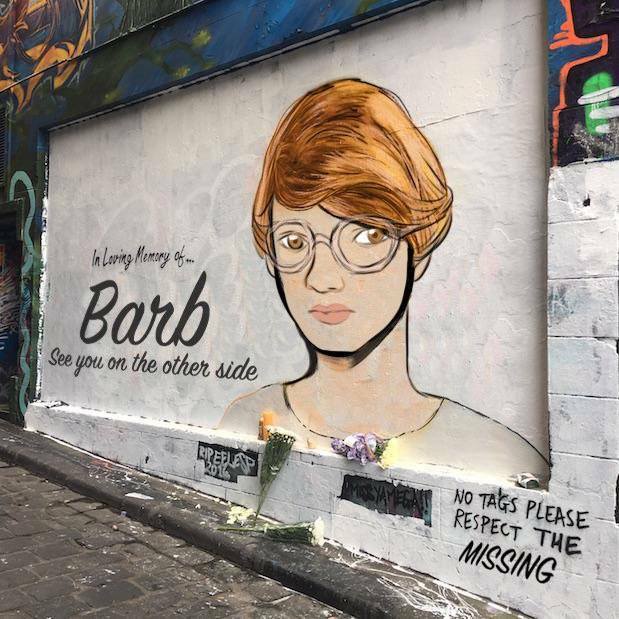 Barb is Nancy’s best friend who gets insanely murked by the faceless monster from the Upside Down while Nancy is hooking up with the hot boy from school. Barb also rules, like, super hard. Barb is all of us in high school; swinging her legs above the pool while people are making out in the house. She’s responsible, wears cool glasses, and seems like she has her head screwed on straight. She’s basically the opposite of who we would expect to be murdered by a monster. Fans have responded to her, even to the extent of painting a mural. Barb is played by Shannon Purser. And if you don’t recognize the name, don’t feel bad. It’s her first role. Purser is also basically all of us. For example, she freaked out when sitting near Winona Ryder. Purser also totally gets why everyone loves Barb. Barb! She really is the best. We have a feeling that this won’t be the last we’ll see of Purser. Read the rest of the interview here.